Will T-ara be able to greet Hwayoung with a smile now? 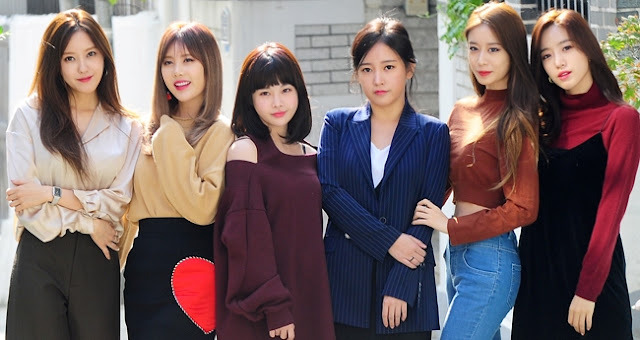 In response to that question, T-ara stated, "Hwayoung is doing well, and since a long time has passed, we think we can see her with a smile now." It has been four years since Hwayoung left the group and we all know that T-ara was severely criticized because of it, and in fact, they are still receiving hate from the public because of that. In the same interview, T-ara admitted to their struggles and stated, "After that incident, T-ara's image changed. Due to that, we had a hard time and our fans also went through a tough time. We endured the pain because it's our issue but it's not a duty that our fans must undertake. We are unimaginably thankful that they remained with love. We won't forget them til the day we die." It has been eight years since their debut and when they talked about the disbandment of other groups recently, the girls stated that they have no intention to disband. Dear Queen's, thank you for staying with our Queens! Meanwhile, you can see more of T-ara's pictures from their photo shoot here.